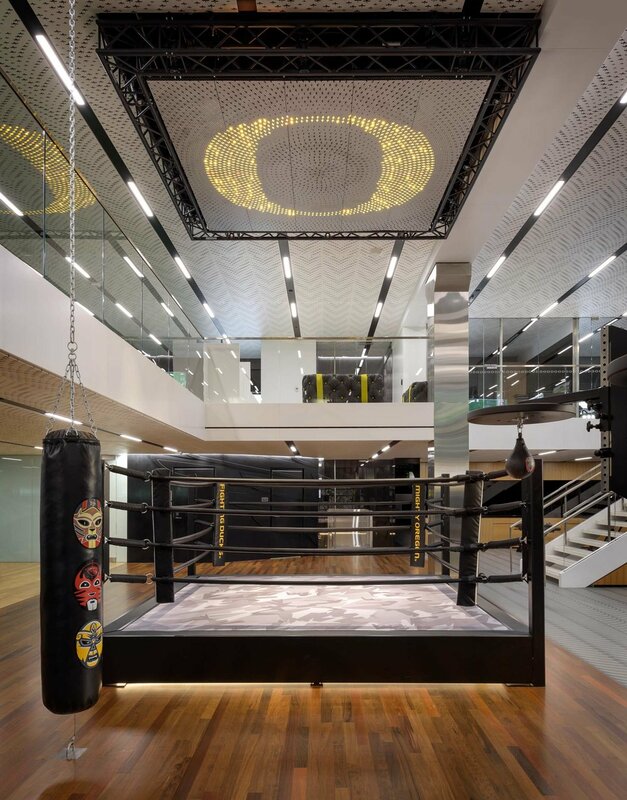 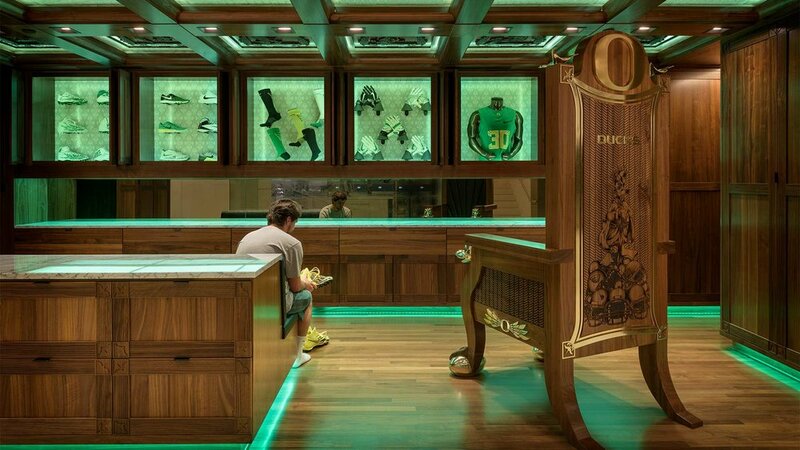 We designed, fabricated, and installed state-of-the-art environments that combine style and function to impress and attract top student athletes and improve their wellbeing and performance within this 30,000-square-foot Marcus Mariota Sports Performance Center in Eugene, Oregon. 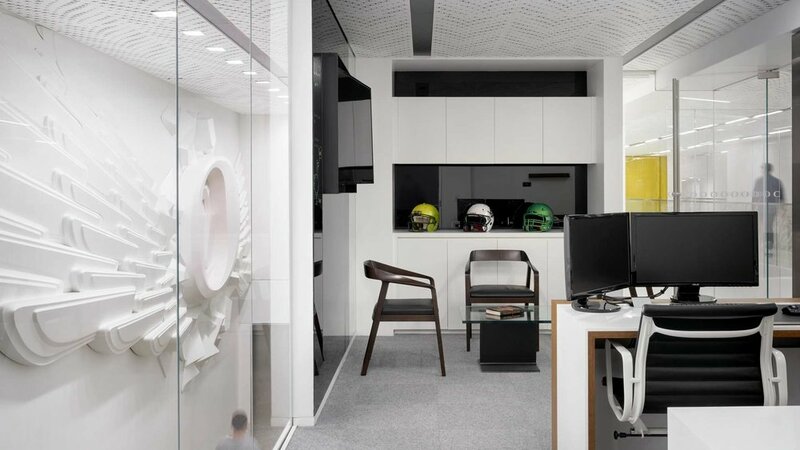 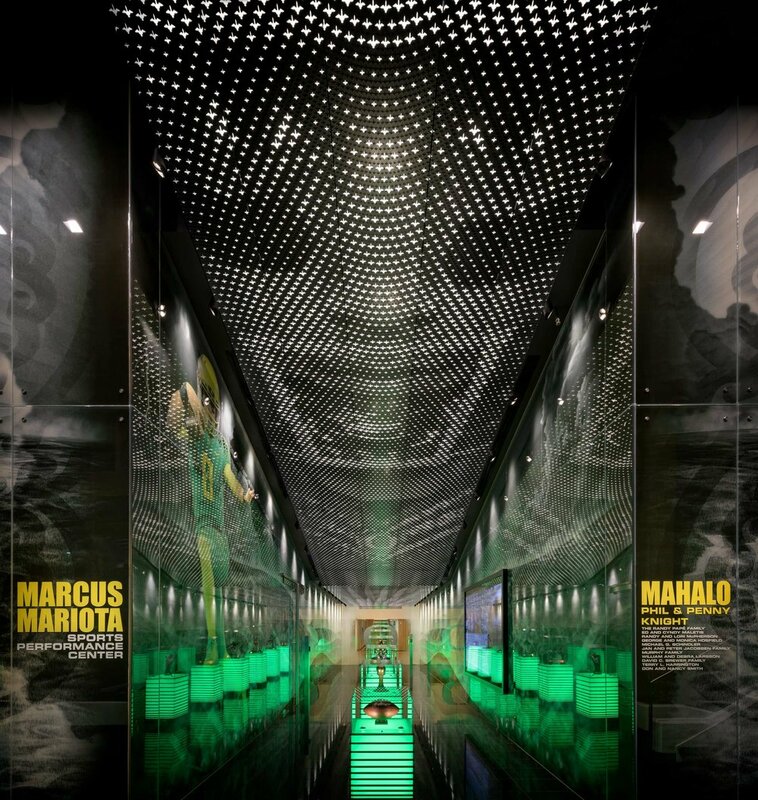 Our role included designing an elaborate trophy lobby featuring Marcus Mariota’s hardware collection and a transparent LED flat screen television which shows highlights from the namesake’s career and then reveals a shadow box of Mariota memorabilia. 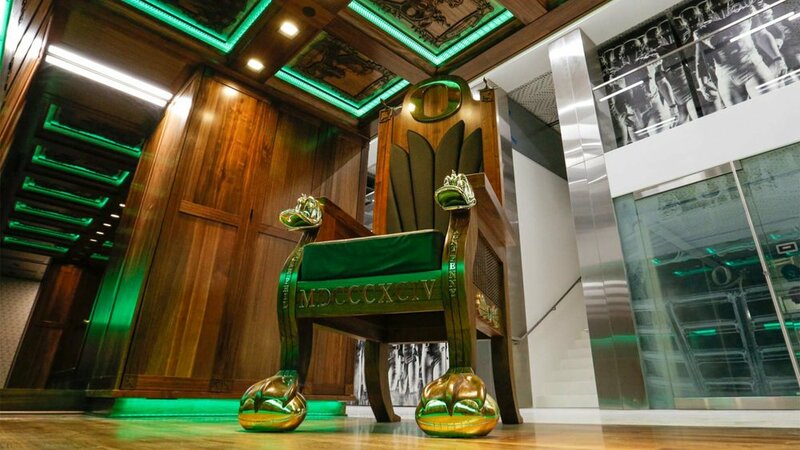 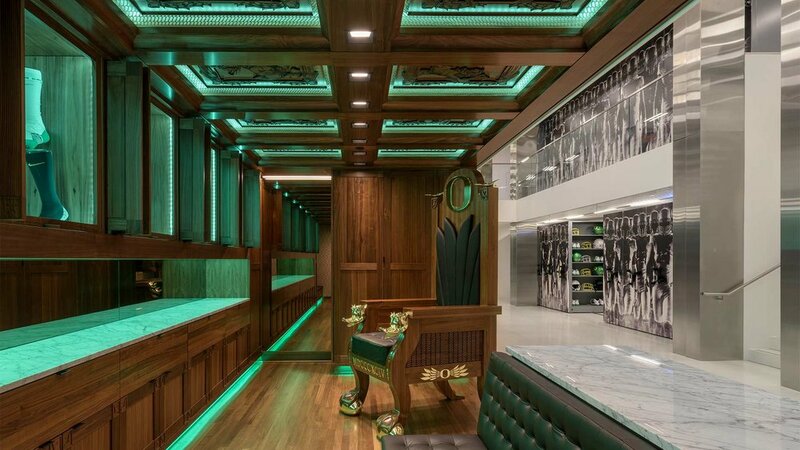 An old school haberdashery room features laser-etched 7-foot-tall throne and custom coffered ceiling panels with graphics featuring each mascot of the Pac 12. 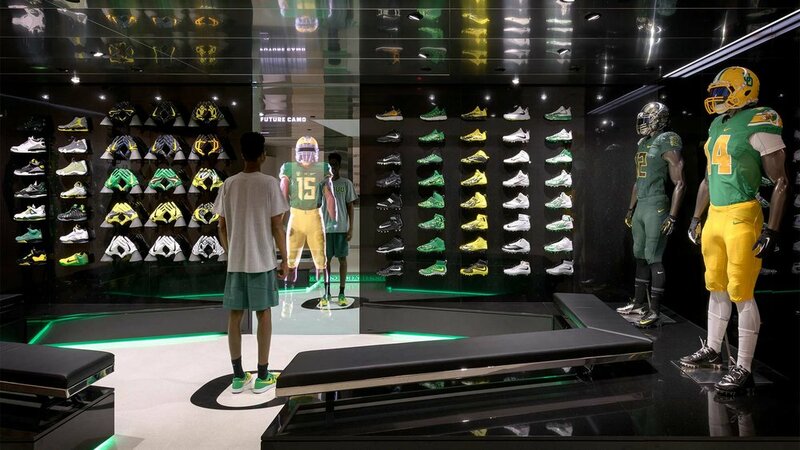 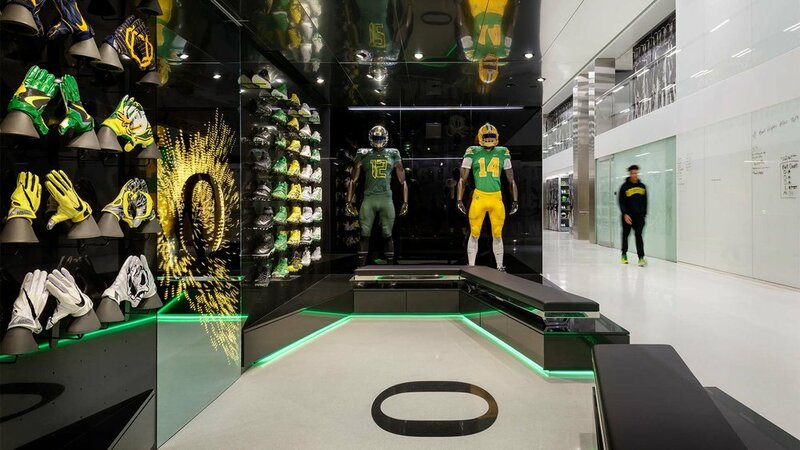 An athlete fitting room was stocked with football equipment and gear and an interactive video component featuring a hologram mirror that lets student recruits see what they would look like wearing an Oregon uniform.